Home Technology Which are the best smart thermostat in 2018? Which are the best smart thermostat in 2018? Smart Thermostat : whether living in the city or in the countryside, in a studio, an apartment or a house, the question of the budget allocated to gas and electricity is a major concern. Several simple solutions exist to save money on the bill and waste fewer resources. 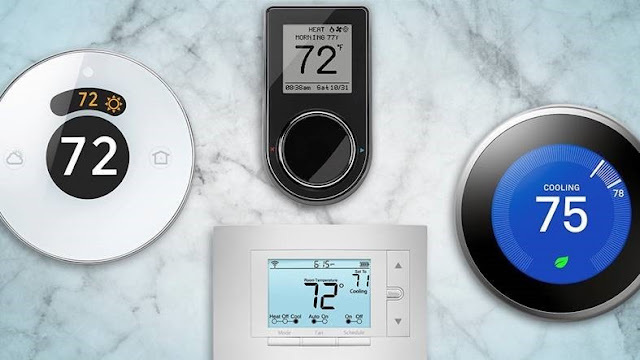 With this guide, learn more about connected thermostats, whether smart or related to services like Google Assistant and Apple HomeKit. Spring is timidly replacing winter, but the cold continues. This is a time of year when the energy consumption of households will be high and difficult to manage between the times when temperatures soften and those where they fall. It may be time to think about getting a connected thermostat to regulate the ambient temperature of your home. A Smart thermostat, what is it? Nest, Netatmo, Qivivo ... We have all heard these names at least once and we are able to say that they are Smart thermostats. On the other hand, if we are asked what is a Smart thermostat, or even a thermostat, the answer is much less obvious to formulate. At random, we explain that it is a plastic case that is fixed to a place in his house or apartment and that allows to adjust the temperature of the room. It's a good start, but it's a bit more complicated than that. Since the invention of the thermostat in 1886 by a certain Albert Butz, this system of temperature regulation has largely democratized and technological advances require, the latter has become connected (in WiFi, with the Internet box). Today's thermostats are controlled by a smartphone, a tablet or directly from a PC, and can be controlled remotely, to better manage its energy consumption. Smart thermostat What is it for? Well, to reduce its consumption and consequently, its expenses. 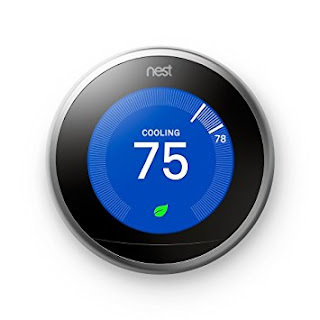 Depending on the product, there are more or less advanced features, depending mostly on the intelligence of the thermostat, or what you expect. Whether the thermostat is connected or not, there is one essential function: programming . This will allow you to schedule departures on weekends or holidays, but also to manage the temperature according to your working days for example, and thus avoid heating the habitat for furniture. And the simpler the programming mode, the more attractive the product becomes. 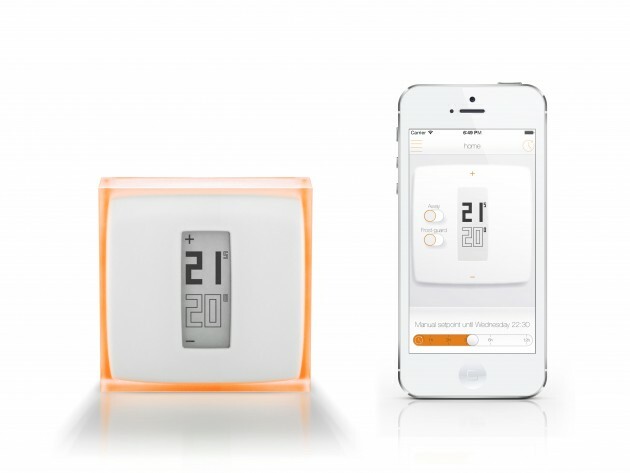 For connected products of this type, functions such as weather forecasts, consumption statistics, calculation of thermal inertia (speed of cooling or heating of a fireplace for optimal adjustment), or integration of a guest mode (to allow connections from several people from the home in particular) are things that are found on most thermostats, regardless of their price range. But there is a huge number of features. Some thermostats embed sensors of presence to reduce the heating automatically when nobody is detected in the habitat, have modes of geolocation to define a perimeter of activation (ex: when you are more than 2 km from at home), or provide analyzes of the insulation of the fireplace , the thermal impact of the local weather, or the level of brightness. In short, a host of possibilities that vary by model. Smart thermostat Is it difficult to install? If you ask a seller or a manufacturer if the product is difficult to install, you should 99% of the time harvest a "no". Because obviously, saying that his equipment is not within the reach of the first handyman on Sunday that passes, it does not sell. But in reality, installing a Smart thermostat is not easy. Fortunately, manufacturers generally offer explanatory videos, installation manuals and, in the worst case, installation packages with the purchase of the product. This model has an LCD color screen and a rather modern design. It is equipped with multiple sensors that measure the current home temperature, humidity, movement and ambient light in order to set an ideal temperature and regulate itself to reach it. In the same way, it will record all temperature changes in order to target the user's preferences and self-program thereafter. It is possible to remotely control the temperature from your smartphone (iOS and Android), tablet or computer, allowing you to use features like "Auto-Away" to manage hot water production and the temperature differently during programmed absences. It is compatible with combination boilers, domestic hot water tanks, system boilers, heat pumps, multizone systems, OpenTherm heating systems and floor heating systems. It is available under the 250 USD . The Tado ° v3 pack includes the Smart thermostat and an Internet bridge. 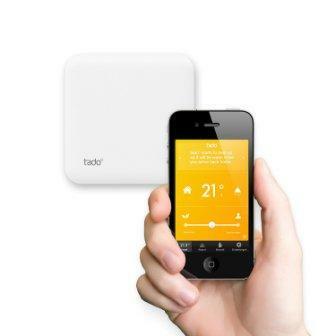 The Tado ° can be controlled remotely via smartphone (iOS, Android and Windows Phone), tablet or computer. It is compatible with 95% of heating systems and is compatible with Google Assistant, Amazon Alexa, IFTTT and Apple HomeKit. Thanks to its geolocation function, it manages the consumption according to the location of the smartphone, but can also be programmed. Thanks to its multiple sensors, it can adapt according to the characteristics of the habitat and the outside temperatures. It is equipped with a system that warns the user if he notices a malfunction of the heating system and also offers detailed reports on energy consumption. It is found under the bar of 240 USD . This thermostat is compatible with gas, oil and wood boilers as well as with heat pumps. It can be controlled remotely via a smartphone (iOS and Android), it is compatible with Apple HomeKit and Google Assistant and it also works on Facebook Messenger. It can also adapt to the outside temperature and takes into account the insulation of the habitat and the habits of lives to optimize its program. It also incorporates the auto-care function to warn of the state of its batteries and a possible anomaly in the operation of the heating. It is available for less than 160 USD . 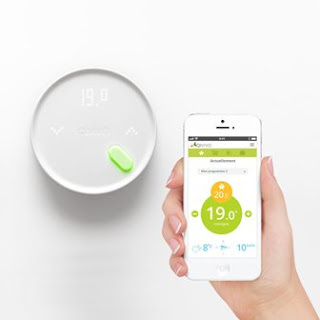 Qivivo is controlled remotely through a smartphone (iOS and Android). Thanks to its presence sensor, it can automatically adjust the temperature. It has an LED screen with a touch interface, it has a presence sensor, a humidity sensor and a heating indicator. He adapts his program to the lifestyle (holidays, trips, etc.) as well as to the outside temperature. It sends notifications in case of unplanned absence of a certain duration to eventually adapt its program and go into freeze mode, it also offers a summary of consumption. It is available under the 150$ . In short, there are many references more or less known in the market, but all have the same goal: to offer a reduction of electricity bills to customers. It should be known that heating accounts for more than 60% of household energy bills, and that Smart thermostats allow, according to the Environment and Energy Management Agenc , to reduce this energy bill. 5 to 10% depending on the efficiency of the programming performed. What to make quickly the purchase of a product of this type. Which Smart thermostat do you recommend?